Perhaps the probe will be able to shed some light, so to speak, on the Sun’s famous coronal heating problem. On Aug. 6, the Parker Solar Probe will launch from the Kennedy Space Center in Florida for one extremely intense mission: to fly closer to the sun than any spacecraft before, reports CBC News. Named after astrophysicist Eugene Parker — the first living researcher to receive such an honour — the probe will travel in the sun’s outer atmosphere, called the corona. Because it isn’t very dense, the corona is difficult to study. 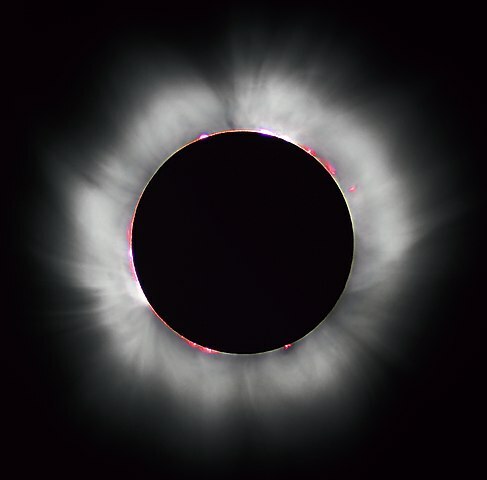 The only time we can see it is during a solar eclipse, or with a specially made instrument called a coronagraph, which blocks out the sun’s light. To reduce the risk of burning up, they’ll be going at night. I would happen to disagree with the article on one major point. ” The sun is not our Ally”, ah, without the sun, we, dinosaurs, snakes, snake plant, and insane cat ladies, let alone their ancestors, would not be here. The sun is our big energy device in the sky. Compression alone cannot increase the air tempreture to a human or plant livable tempreture. The outlying stars do not process enough energy to warm our planet. Nor, the planets. But, there is that ignored heater, light bulb, that gives off enough energies to create conditions that the plants can survive in. If they can survive, then the plant eaters can survive, then we can eat a plant eaters. Jim, maybe you should ask why the CBC journalist felt it necessary to include these words in an otherwise (apparently) factual report of a NASA space project. To spice it up, or to inject an element of fear? The fine line between journalism and propaganda. Get ready for lots of “Baffled scientists…” headlines. Something mysterious is going on at the Sun. In defiance of all logic, its atmosphere gets much, much hotter the farther it stretches from the Sun’s blazing surface. Temperatures in the corona—the tenuous, outermost layer of the solar atmosphere—spike upwards of 2 million degrees Fahrenheit, while just 1,000 miles below, the underlying surface simmers at a balmy 10,000 F. How the Sun manages this feat remains one of the greatest unanswered questions in astrophysics; scientists call it the coronal heating problem. defiance of all logic – could there be some ‘energy in’ to add to the ‘energy out’?